We're in the midst of a big transition over here.At the beginning of September, our three year olds started to go to preschool for a much longer time...nearly matching a regular school day. It has been both wonderful and exhausting for us. On one hand, I will never forget the Wednesday after Labor Day this year. It was the longest time I'd been by myself, in my own house, without the boys, since they were born. It was both a huge relief...and a shock. I almost didn't know what to do with myself! Maybe that's a lie. I've been working myself into a frenzy, trying to clean up 3 years of messes...both in the household and in my work life, which has mostly been on "pause" for a long time. It is both exhilarating and hard! I've submitted a grant application, articles and ideas and even sent off my resume to one (very long shot) editor job. It's been exciting. I'm excited to say it is now again available! 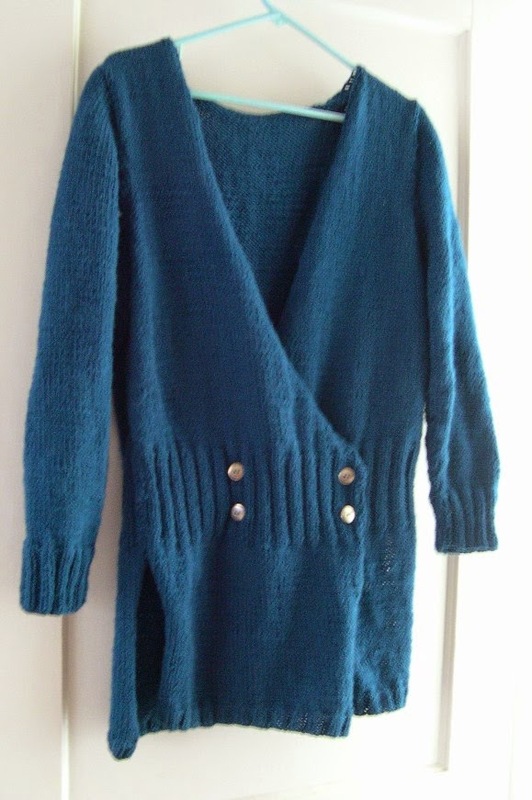 It was briefly a Knit Picks exclusive pattern, but copyright returned to me...many moons ago. The other hand--going back to the metaphor above--is the hard part. We are all still very tired out here. It's hard to learn to nap at school (and my boys are not great sleepers still, being exhausted during the day doesn't mean we sleep through the night!). When the dudes come home, they are exhausted and fussy, and I don't blame them. I too am out of sorts, trying to juggle some sort of new/old work life, the household, and two three year olds in transition. In a sense, we're all navigating one of those overgrown late summer/fall gardens. The flowers are over our heads. We're trying to find our way....and the bees are busy, the flowers fragrant (all good things) but we're a bit lost still. On that note, I wanted to make sure to wish my readers a happy Rosh Hashanah--happy 5775! Happy New Year. May it be a sweet, productive, happy, healthy and fulfilling one.